The ZF 6 speed for the Corvette has been a topic of controversy for some time. Whether GM had a parts coup in mind, or that ZF decided no one was able to build these units except for the factory is a matter of conjecture. The fact is that until recently, if you had a problem with the ZF, you had to buy a complete unit from the dealer. Parts for your ZF 6 speed are hard to find and they're not cheap, but they're a darn site less than a unit. We have the expertise to rebuild your unit for you. Send us your unit & we'll completely disassemble , clean, & inspect it. Then we'll call with an exact amount to repair it. The list below contains some of the most often needed parts. S5-31 5-speed manual transmissions have a three-letter code stamped to the main housing. The S6-40 6-speed manual transmission and all other 4, 5 and 6-speed manual transmissions have an I.D. plate affixed to the main housing. The ZF transmission number is stamped onto this plate. 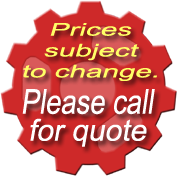 We can usually rebuild your transmission for less than exchanging it. All of our new and rebuilt transmissions carry a 12mo/12,000 mile warranty. 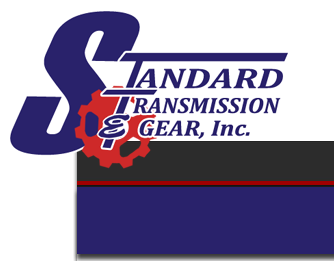 Send us your transmission, transfer case, or differential & we'll disassemble, clean & inspect it. Next, we'll contact you with an exact price to repair the unit, including all parts and labor. After you approve the work, we can usually complete the repairs in 1-2 business days. Remember, we can ship anywhere you need us to - usually on the same day! We accept: Mastercard, Visa, & Discover. We ship via UPS, motor freight, U.S. Postal Service, overnight, 2 day, 3 day, or regular freight, depending on your needs. International Shipping is quoted to nearest airport. Customer is responsible for all duties, etc. that may be imposed in your country.